The wireless sensor network (WSN) is a system containing the event detection and the data gathering abilities. The data gathering mechanism is the fundamental but important procedure in the WSN environment. The way of the data gathering majorly affects the efficiency of WSNs on retrieving data at the sink node. It is generally known that the clustering techniques are effective to reduce the energy consumption in the WSNs. However, the research on the packet collision and the transmission delay in the Cluster based routing algorithm still remains limited. The packet loss and the transmission delay will happen more often due to collision and as such it will have negative impact on the WSN performance. In addition, the transmission delay phenomenon in the WSN may cause the inefficient result in the data gathering process. Unfortunately, it is usually neglected in the existing literature. To overcome the drawback of transmission delay and collision, a cluster-based converge cast tree (CCCT) protocol is proposed in this paper. The core of this protocol is to construct a cross cube spanning tree topology control algorithm. The proposed protocol performance is analyzed theoretically, which demonstrate that the protocol is efficient in avoiding packet collision and reducing the transmission delay. Finally, the protocol is examined by the simulations. The simulation results indicate that the proposed CCCT structure and algorithms outperform the existing approaches significantly in the realistic WSN environment. The authors wish to thank National Natural Science Foundation of China (Grant Nos. : 61072080, 61572010), Natural Science Foundation of Fujian Province of China (2017J05098), The Education Department of Fujian Province Science and Technology Project (JAT160328, JZ160461), and the Science Research Project in Fujian University of Technology (GY-Z160066, GY-Z160130, GY-Z160138). Amodu, O. A., & Mahmood, R. A. R. (2016). 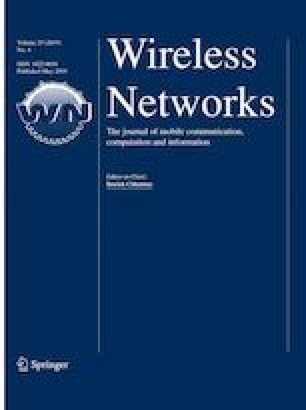 Impact of the energy-based and location-based leach secondary cluster aggregation on WSN lifetime. Wireless Networks, 1–24. https://doi.org/10.1007/s11276-016-1414-9.